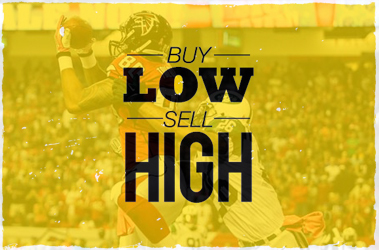 The last week for Buy Low Sell High because many leagues will have the trade deadline this week. 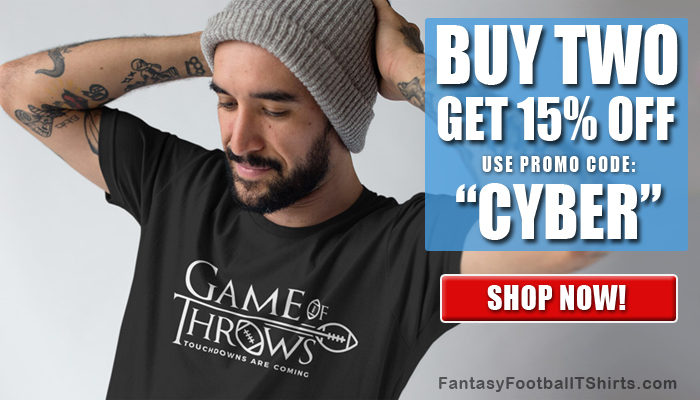 So this article will be devoted to buying and selling the best players to help you win a fantasy football title. 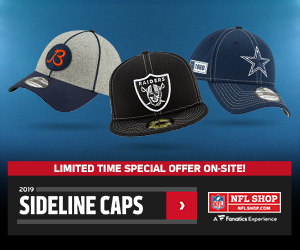 If you are a Gridiron Experts subscriber chances are you will be in the playoffs, if you aren’t then hopefully your league has punishments for finishing last and you become a subscriber next season. Without further or due Buy Low Sell High Week 11. Just a side note,when referring to the fantasy playoffs in the article, I am referring to Weeks 14-16. If you play in a league where those are not the fantasy playoffs, I am sorry and maybe it’s time to find a new league. 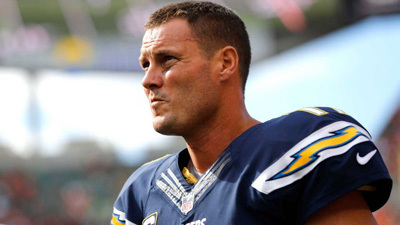 If you would ask me what quarterback will be on the most championship rosters at the end of the season, I will say Philip Rivers. Which is why he is my Buy Low for Week 11. Rivers is not only coming off a four-interception game but he is also on a bye in Week 11. Rivers hasn’t had 20 fantasy points in five straight weeks due to difficult matchups. Therefore, I give him a pass. His schedule from Week 13 through Week 16 is the easiest schedule for a quarterback. He will face TB, @CAR, OAK, @CLE. Not only an easy path to the title game but the Browns Week 16 is just the cherry on top. You might be thinking, you’re crazy for selling Aaron Rodgers. The guy has been averaging 26.75 points per game over his last four games. All I ask is that you hear my argument. There is no denying Rodgers is great, that also means his name value and what you could get in return for him will be great. Being able to stack your roster with skill position players is a great strategy before entering the playoffs. If you watched the games the last two weeks, the majority of his points have come in garbage time which is never good to rely on. Last and most important reason to Sell High is the schedule. He faces the Seahawks in Week 14 who just held Tom Brady to zero touchdowns, and the Vikings in Week 16 who have one of the best defenses in the league and will not score many points which then means Rodgers won’t need to throw a ton. Go big or go home right? Here is my home run swing with two strikes. Trade for Todd Gurley. Gurley is talented and I believe his struggles have been due to defenses not respecting the pass and stuffing the box. 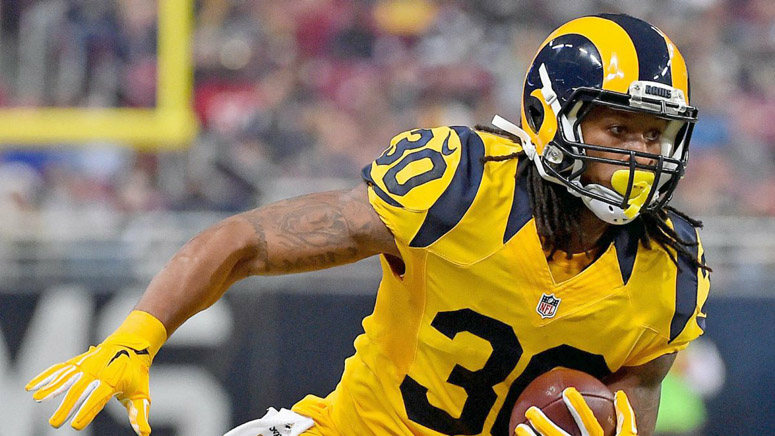 Hopefully, with first overall pick Jared Goff starting, he shows defenses that he is a threat for the passing game which will open up holes for Gurley. Gurley’s playoff schedule is also favorable. He faces the Falcons in Week 14 and if you can survive the Week 15 match-up against the Seahawks then pat yourself on the back and make room for your new trophy because Gurley will face the 49ers in Week 16. The 49ers are ranked dead last against the run giving up 180 rushing yards a game and have surrendered 13 rushing touchdowns on the season. If those numbers don’t excite you then you may want to check your pulse. I have been preaching all season that people overreact to games on prime time television. Rashad Jennings looked good on Monday night football so now people will think he has talent. Sorry, but I have seen enough of Jennings to not be impressed. Jennings went for a season high 10 points against the Bengals. A player with a ceiling of 10 points, is not someone I want to trust in the fantasy playoffs. On top of the fact that Paul Perkins has been getting more work, Jennings has a difficult playoff schedule. His games are DAL, DET, @PHI. 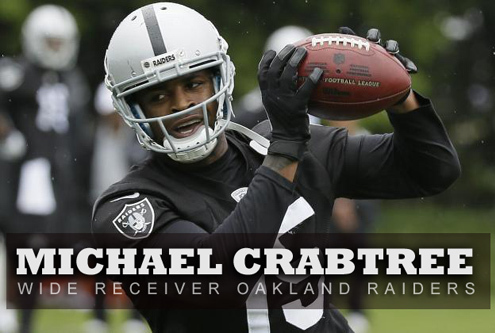 Is there a wide receiver in the NFL that gets less respected than Michael Crabtree? People are so in love with Amari Cooper and forget about Crabtree. Crabtree has only two fewer points on the season than Cooper. Crabtree in Week 9 had only two points and had a bye in Week 10 so people may have forgotten how reliable he has been all season. His playoff schedule is great with @KC, @SD, IND. Who are all ranked at the bottom of the league against wide receivers. A reliable WR2 to take you to a championship. I should probably write this entire paragraph in CAPS because I want you to imagine me screaming this at you. But screaming and saying hurtful things doesn’t get you anywhere unless you are running for President. So I will say it politely, please Sell High on T.Y. Hilton. Let me hit you with some knowledge. The first reason to sell high is Hilton’s difficult schedule, the Colts have the hardest playoff schedule for wide receivers in the league. Second reason is Donte Moncrief. This season in the four games Moncrief has played in, Hilton is averaging just 4.25 catches, 55.5 yards, zero touchdowns. In the last 26 games they have played together, Hilton has only five touchdowns. Currently, Hilton is a top eight receiver on the season so trade him based on that value and thank me later. Good old Antonio Gates or as I like to call him “Old Reliable.” I am convinced Gates won’t retire until his Medicare kicks in. Arguably the slowest man on the field but yet finds a way to create space. This week Gates is on a bye which may mean some people may drop the veteran or be willing to trade him away for cheap. Fantasy owners fall in love with the new and upcoming players and forget about the veterans. Hunter Henry is a great talent and will have a good career but as long as Gates is playing it’s Gates’s job. Gates has nine or more targets in four straight games. With that kind of target share and the easiest schedule for a tight end in the playoffs, that means a ton of points in the fantasy playoffs. It is hard to sell a player who just had nine catches for 124 yards and one touchdown, especially a tight end. Walker is a great tight end and I do not doubt that but I believe he will frustrate fantasy owners from Week 13 and on. First off I can guarantee 100 percent that Walker will score zero points Week 13 because the Titans are on a bye and for teams that start the fantasy playoffs then or need a win to get into the playoffs not having Walker will hurt. My other reason is Walker has a very difficult three matchups in the fantasy playoffs. He gets DEN, @KC, @JAX. All rank in the top 10 against stopping tight ends. He is a great tight end with name value so make sure you get a good replacement tight end with some other key players in the trade.